Lepakshi is a small village in the Anantapur District in the southern state of Andhra Pradesh, India. There are three temples dedicated to Lord Shiva, Lord Vishnu and Lord Veerabhadra which are of archaeological and historical importance and built by the Vijayanagar Kings during the period of 1336–1646. The Lepakshi, founded in the year 1593 is highly significant both from the cultural and archaeological point of view for there is located various temples dedicated to Lord Vishnu, Shiva and Veerabhadra built during the reign of the Vijaynagara Kings. 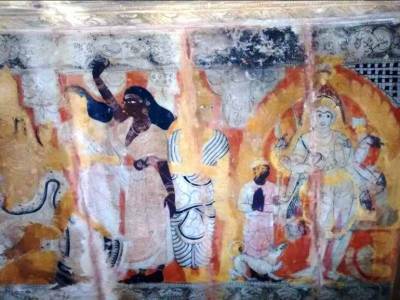 The temples depict the mural paintings of the Vijaynagara kings. These temples also showcase the Kannada inscriptions. There is a large granite Nandi Bull very close to the temple complex. 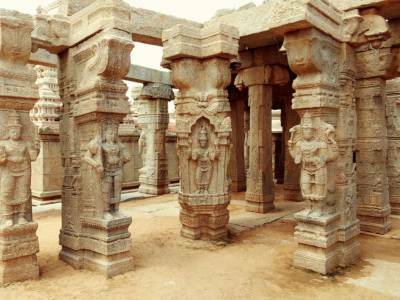 Amongst several temples, the most famous temple at Lepakshi known as the Veerabhadra temple, dedicated to Veerabhadra and built by the two brothers Virupanna and Viranna depicting the Vijaynagara style of architecture. It is also called the Lepakshi temple. Lepakshi is a fascinating place to be in especially for those fond of architecture. It is not quite feasible to visit Lepakshi during the summer season due to the scorching heat. Lepakshi is one of the top-rated tourist destinations in Andhra Pradesh and a popular one-day trip from Bengaluru as well. It is a place exceedingly rich in heritage and culture. 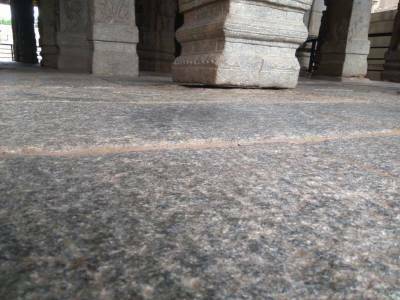 The miraculous Hanging Pillar is definitely the greatest attraction of the Veerabhadra or the Lepakshi temple which is not fully rested on the ground but hangs a bit in the air. It has been proved by the Archaeological Survey of India (ASI) that the Hanging Pillar was built intentionally so and was not the result of any mistake. The Hanging Pillar is enough to captivate the visitors and have them in awe. It undoubtedly goes to show the brilliance of the contemporary builders of the time. It doesn’t end here. 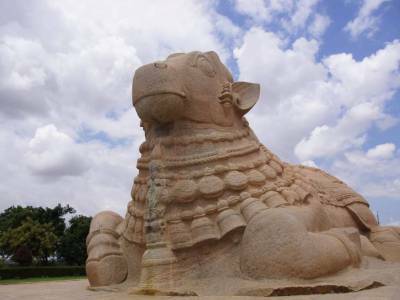 There is also another architectural marvel in the Lepakshi and it is the massive statue of Nandi, Lord Shiva’s bull. It is the country’s second-largest monolith after Gomateshwara having a stature of 27 feet by 15 feet carved out of a single stone. The Vijaynagara empire once flourished stupendously in silk weaving which reflects even today. Dharmavaram and Hindupur are two towns near Lepakshi well-known for their silk weaving and south cotton respectively. These are both fantastic shopping destinations. There is another town near Lepakshi which is a well-known pilgrim centre known as Puttaparthi. 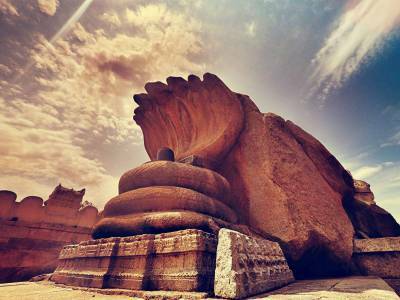 Get quick answers from travelers who visit to Lepakshi Temple.